Jennifer Bugley identifies, builds, and maintains long-lasting relationships with business partners and clients. She has 20 years of experience in the charitable sector, with expertise in business development, talent development, and program management. 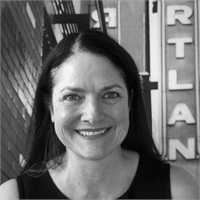 Jennifer grew up in Cottage Grove, Oregon and is a graduate of the University of Oregon. She is also a graduate of Western Culinary Institute. When not building strategic partnerships, or providing resources to clients, you can find Jennifer traveling the Northwest (and the world) looking for the best spots to ski, dive, sail, and camp. You will also find her preparing and enjoying meals with friends.